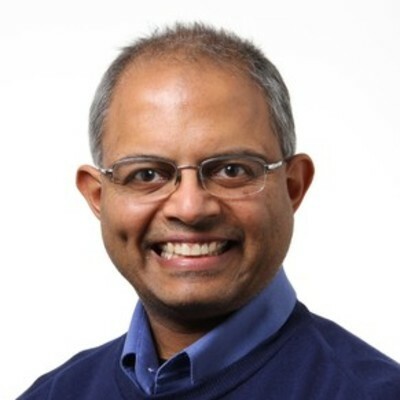 As the group and senior technical leader of Vehicle Design and Infotronics for Ford Research and Innovation, the birthplace of Ford SYNC®, K. Venkatesh Prasad is Ford’s “What’s Next” guy, responsible for the research, architecture, standards, applications development and vehicle system integration of electrical, electronics and embedded software technologies. In the early 1960s he was just a small boy in Chennai, India, who was fascinated with electricity. As a precocious five-year-old undeterred by his parents’ heed to not play with wires, Prasad conducted his first experiment with electrons by plugging two wet shoelaces into a 220-volt power outlet. “That shocking lesson stays etched in my mind today,” he said. Before joining Ford Motor Company in 1996, Prasad worked as a senior scientist at RICOH Innovations in Menlo Park, Calif., developing automatic “lip reading” as a novel human-machine interface. In addition, he was at Caltech and the NASA Jet Propulsion Laboratory in Pasadena, Calif., where he worked on the world’s first telerobotic visual surface inspection system to help design the International Space Station. Attracted by an open-ended challenge to discover ways to integrate “intelligence” into cars and trucks, Prasad joined Ford to work with a small group of engineers in the development of adaptive headlamp and lane-mark detection technologies. “When I first met with Ford decision makers, they asked me what I knew about cars and I told them, ‘Not much.’ They said, ‘That’s who we need... we have 15,000 engineers here who know everything about cars and trucks. What we need is someone from outside our box to help us make our products safer, cleaner and the journey more fun.’ That intrigued me,” said Prasad. As Ford’s What’s Next guy, Prasad in the late 1990s was imagining the vehicle as a software platform where features and services could be beamed in from the outside – without incremental built-in hardware. This was during the time when others were hot to find better ways to build in phones and trunk-mounted six-disc CD changers. That revolutionary mind-set led to the development of Ford SYNC. Software-based, the voice-activated SYNC system allows Ford and Lincoln vehicle owners to seamlessly connect to their cellphone, MP3 players and a host of other features and services in and through their vehicle – hands-free. For the What’s Next guy at Ford, the upgradeable SYNC platform is only limited by the imagination and market acceptance of emerging digital connectivity technologies.